'Noisy,sociable and gregarious, these cheerful birds have managed to colonise most of the world'. Below is some useful information relating to our year in Sparrows class and your child's learning. However if you have any further questions,worries or concerns please do not hesistate to contact me. My door is always open and you can catch me after school each day. Mrs Foreman will be rejoining us for this final term and we welcome Miss Cragg who will be supporting our teaching and learning. Welcome back, I hope you had an enjoyable spring break. This term our class topic is Transport Pioneers and we will be using the books 'Samson's Titanic Journey' and 'Rosie Revere Engineer' to support our learning. Thurs 27th June- Class 2 residential. Our Christian value focus this term will be endurance. We will discuss the importance of not giving up ,which links to our school values of ready:respectful:resilient.The bible assures us that God's love,mercy and faithfulness endure forever, endurance and perseverance are only possible where there is hope and that hope is based on the enduring nature of God's love and faithfulness. For the Lord is good and his love endures forever;his faithfulness continues through all generations. Our British values for this term are individual liberty and the rule of law. This term we will use our class texts to write explanation reports, information texts and poetry. We continue to use our class non-negotiables to improve our writing,spelling and presentation. As scientists we will be investigating everyday materials and looking at how they can change. For the second half of the term we will be looking at habitats and homes,in particular insects. Our RE focus for the last term will be discipleship and the Holy Spirit we will then look at faiths around the world, in particular Judaism. In computing we will be working together on projects and learning how to organise,manipulate and celebrate in order to present information to an audience. Our creative focus this term will be the art work of Charles Rennie Mackintosh and constructing our own bug hotels. Our topic this term is transport pioneers. We will be looking at the unsinkable Titanic and the transport of the time including the Wright brothers and Ford cars. We will also link with geography to explore the oceans and seas of the world. PE will continue on a Monday- we will begin with developing our athletics skills as well as our courage,self belief and fairness. We are very lucky to have Charlie gym returning so we will also have gymnastics on a Friday morning. 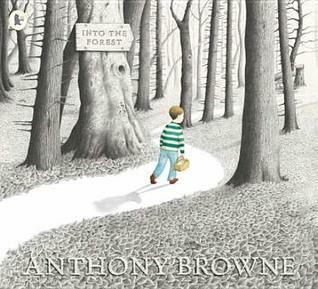 This term our class topic is Footsteps through the Forest. We will be using the books of Anthony Browne and Britta Teckentrup to explore and compare the Australian rainforest and our local Delamere Forest. Our Christian value focus this term will be trust as we strengthen the relationships we made during the autumn term. Jesus used stories to show us as Christians how we must trust and obey God. It is a wonderful thing to be able to trust one another and more importantly,for others to trust us. We can always trust God to listen to us when we talk to him in our prayers. Lord,help us to trust you even when you ask us to do difficult things.Help us to do the right thing,not the easy thing,trusting that you see everything we do. This term we will be exploring traditional tales,some familiar and some from Australia. Our whole school focus continues to be spelling,handwriting and presentation, our class non-negotiables will be sent out at the beginning of term. As mathematicians ,both Year 1 and 2 will be looking at multiplication and division. Year 1 will be learning how to solve one step problems using concrete objects,pictorial representations and arrays whilst Year 2 will extend their understanding and learn to recall and use multiplication and division facts for 2,5 and 10 times tables. Later on in the term we will revisit place value and introduce fractions. Our science topic for the first half term is materials and we shall be identifying,describing and comparing a variety of everyday materials.In the second half of our term we will look at plants in art and nature and link this with our rainforest/woodland topic. We will be given the opportunity to extend our learning outside the classroom with our visit to Tatton Park. In RE we will continue to follow the Diocese of Chester planning and look at the concepts of salvation and resurrection, exploring this through our RE lessons, class worships and reflective area. Our topic for this term has a geography focus, we will compare an area of the UK with a non European country, specifically the Australian rainforest and Delamere Forest. 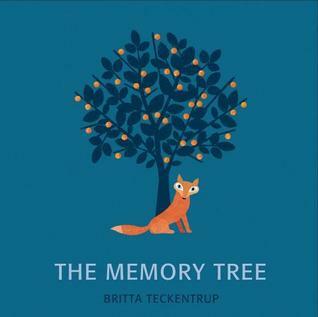 We will use the work of Britta Teckentrup ,who illustrates our class text The Memory Tree, to develop our printing techniques and collage works. In DT we will design,plan make and evaluate animal masks using a range of skills. We will continue to build our skills and team work in PE leading on to competitive games after half term. We will also continue our daily yoga sessions with Cosmickids. In computing we will be creating and refining original content and learning how to safely use search engines. We will focus on our British values and our behaviour in PHSCE. In P4C the children will use a variety of prompts and stimuli to promote discussion. Mrs Hill and Madame Carter will continue to teach music and French. For information on reading,homework and classroom routine please see the bottom of our webpage. Welcome back after the summer break, I hope you had lots of fun together. I am looking forward to learning lots more about you all and how you learn. The autumn term ,and new classroom, finds Year 1 getting used to new routines and more challenging work but I hope you will find our new classroom an exciting and inspiring place to be,I know Year 2 will be great role models and share their love of learning with our new Sparrows. Our class topic for the autumn term is Remember,remember, looking at events beyond living memory. We will use the stories of our focus authors, The Great Fire of London by Emma Adams and James Weston Lewis and Where the Poppies Now Grow by Hilary Robinson to explore significant national events: The Great Fire of London,The Gunpowder Plot and commemorate the centenary of the end of the First World War. When God made people, one way they were like God was the ability to offer and receive the gift of friendship. The bible shows how God never stopped longing for friendship with and between all people.Jesus came into the world so that everyone could see the forever friendship God offered. Again and again God shows us through stories in the bible how hatred can be turned into love and enemies can become friends. This links with our British values focus of tolerance, There are many examples in the new testament of Jesus offering friendship and love to 'outsiders' and showing tolerance and respect for others and we shall use our reflective area to think how we can show these values each day. "Therefore,clothe yourselves with compassion,kindness,humility and patience. Bear with each other and forgive one another if any of you has a grievance against someone. Forgive as the Lord forgave you. 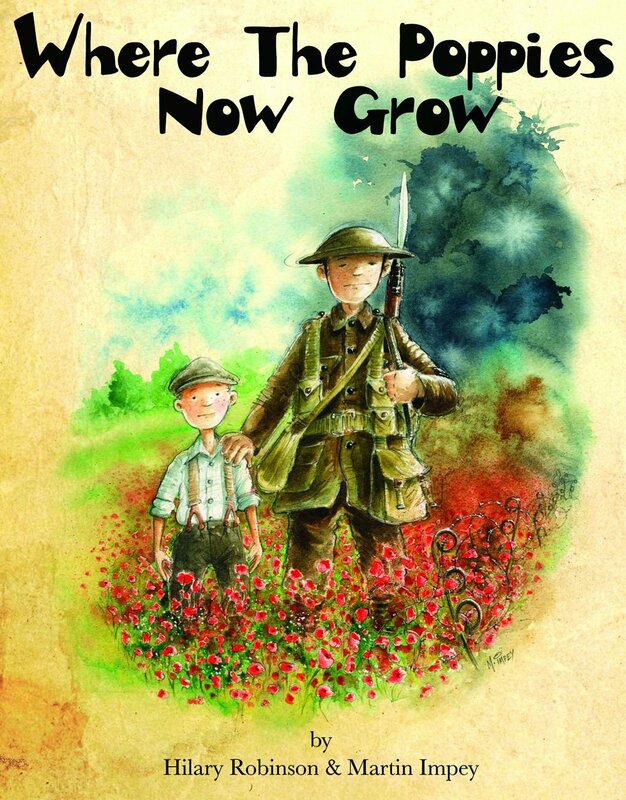 And over all these virtues put on love,which binds them together in perfect unity"
We will be looking at the stories The Great Fire of London by Emma Adams and Where the Poppies Now Grow by Hilary Robinson to support our writing. In particular we will focus on recounts,diary entries,letter writing,instructions and poetry. Our focus this term is to improve our spelling and we will be discovering which strategies we can use to support our independent spelling and editing. The Year 1 and 2 common exception words and high frequency words can be found below. In maths Year 1 and 2 will be looking at place value, addition and subtraction, shape and money. We will continue to look at number bonds and counting in 2s,5s,and 10s. The White Rose Hub will support planning and there will be lots of opportunities for us to explore in a concrete, pictorial and abstact way. Group and peer activities will help us embed our learning and demonstrate our understanding. As scientists we will identify and name different common animals, describing and comparing observable features from a range of groups recognising that animals can be grouped according to whether they are carnivore, herbivore or omnivore. We will learn the basic needs of animals for survival and understand that this includes humans too. As historians ,we will develop an awareness of the past and develop a curiosity about the events beyond living memory. We will begin to understand chronolgy and discover ways we can find out about the past, including significant national events: the Great Fire of London,The Gunpowder Plot and the First World War. We will look at and compare the lives of three significant individuals, Florence Nightingale,Mary Seacole and Edith Cavell and look at our local area by using our village war memorial to help us find out about the past. We will be supported in our learning by a visit to Weaver Hall Museum, where we will take part in learning about the past . In RE we will follow the Diocese planning which is based on 11 Christian theological concepts. This term we will focus on God the Creator,Incarnation and Epiphany. As Christmas draws nearer we will look at the Nativity. Our class reflective area also provides further opportunities for the children to explore the 12 Christian values embedded in our school worship. Y2 will also visit Frodsham as part of The Christmas Journey. In PE we will be using Locomotor NZ to explore how our bodies move. We will also be developing our multiskills in preparation for multiskills with FAVSP in November. In addition,Mrs Sherlock will teach dance every Friday morning and we will use Cosmic Yoga to help us develop our concentration and focus skills. As artists and designers we will look at landscapes and cityscapes using the work of the Impressionists,in particular Claude Monet,Vincent Van Gogh and Jean Metzinger to creat a London skyline.We will develop a wide range of art and design techniques using colour and texture. We will also construct our own Tudor/Stuart houses to help us investigate how the Fire of London spread and what materials would be used to rebuild London. In computing we will be using Scratch to help us understand algorithms and plan and write our own program. Our Beebots will help us with developing our logical reasoning skills. In class we will continue to use technology to help us with our learning, QR codes, search engines and power points. Our PHSCE this term will focus on friendship,playground games and good choices. In P4C, the children will use a variety of prompts and stimuli to create questions for class discussion. Music and French will be provided by Mrs Hill and Madame Carter once a week. Children will discuss and read books in a group/whole class guided reading session once a week and will have opportunities for individual and peer reading throughout the week.Your child will also have individual reading time with the class teacher at least once a week.Your child's reading diary will be sent home every day with details of pages read,questions to ask,skills to practice or points for discussion. It is important that books,reading diaries and book bags are in every day. To support your child please try and read with them for 10 mins every night, please do not feel the need to complete the book in one sesion but do take the time to discuss the book to develop comprehension. At Kingsley St John's we take a whole school approach to phonics and the children are grouped on their phonic stage. We follow the 'Letters and Sounds' phonics scheme and each group focues on the graphemes and phonemes in their phase. Phonics is taught daily after lunch. We will be following the Babcock spelling scheme daily as part of our english lessons,as well as the work within our phonics group. Children will be assessed on how they apply their spellings in their written work. PE will be on a Monday and Friday, however please ensure your child always has a named PE bag ,with labelled kit in every day. Any unlabelled kit found will go in our spares box, feel free to have a rummage if there is any missing kit. As part of our uniform policy, children with shoulder length should have it tied back and off their face. All children need a named water bottle in school daily, we do not have the facilities to provide and wash cups for those children that do not. All uniform needs to be labelled to ensure you get it back at the end of the day!